ABB solar inverters can be connected to different monitoring and control systems via a selection of fieldbus and interface adapters. This offering is complemented with a series of data loggers and controllers as well as with string monitoring junction boxes and environmental sensors. 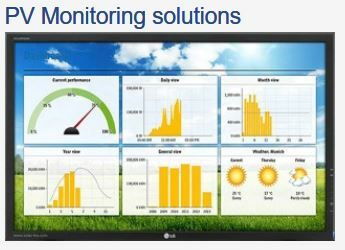 The Aurora Vision Plant Management Platform completes the offering by enabling remote monitoring and analysis of system status, performance and energy production and assisting the customer in managing his plants.